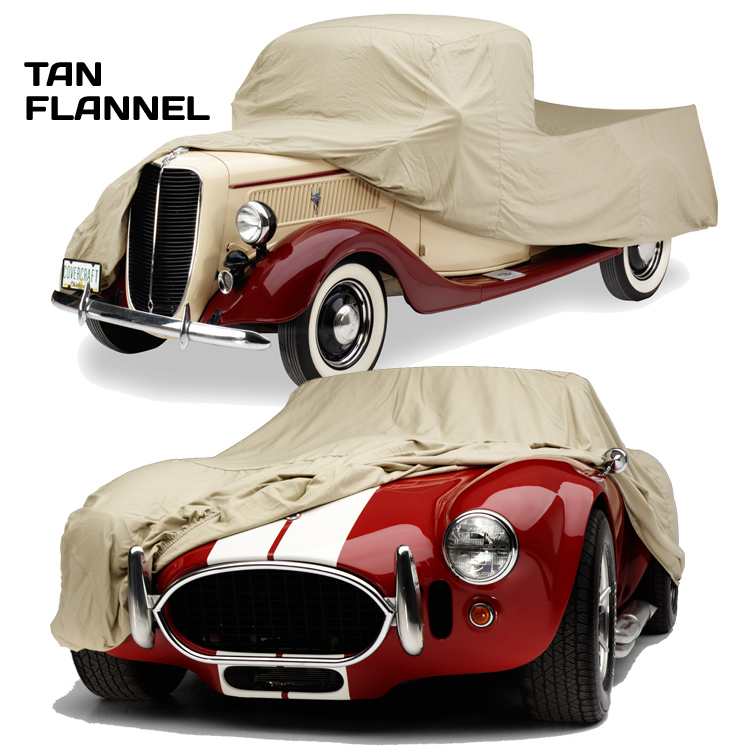 Favored by traditional car enthusiasts, Tan Flannel fabric always provides a soft touch to pamper fine paint finishes. Designed primarily for indoor storage use, this woven cover is constructed from a durable polycotton blend with a napped underside finish. Breathable - Allows moisture to evaporate and will not trap heat under car cover.